This year’s annual cannabis holiday is just around the corner, and if you own, manage or work in a cannabis retail business and aren’t prepared with the right strategy and products in stock, you might be missing out on record sales – and record profits. Your competition will be gearing up for the big day, so if you fail to do so, too, your regular customer base, as well as potential new customers, may be enticed to other businesses to take advantage of the special offers that inevitably occur on this special day. You not only have to stock the best products possible—and in great quantity—but you need to let the world know about what you have. If there was ever a time to roll out something new and exciting—perhaps a proprietary strain or several—April 20th is the day to do it. This year, 4/20 is on a Saturday, and people will be out and about enjoying the warm weather and looking for opportunities to party. If a stop at your dispensary isn’t part of their plans you have failed to capitalize on the greatest sales opportunities that will hit the cannabis space this entire spring. There is no such thing as stocking too much product on 4/20. From the most flavorful flower to the most potent concentrates, your customers will want it all. Since some cannabis enthusiasts prefer to eat their cannabis rather than smoke it, your edibles selection should be at it freshest and most complete. Cannabis and chocolate are always a good pairing, so infused brownies and cupcakes should be on display to attract those with both a sweet tooth and love for cannabis. Of course, other infused dessert items will be popular as well, so a selection of those items will definitely sell—after all, not everyone likes chocolate (as crazy as that may sound). Remember that not only your regular cannabis-loving customers will be dropping in to celebrate this special occasion, but some people who may rarely visit. This is a day when very occasional cannabis consumers will have a reason to indulge. They are motivated to consume on 4/20 when they may not always feel that desire, so its up to you to fan the flames of that motivation. Since people who do not indulge in cannabis on a regular basis may not enjoy smoking it, likely they would enjoy consuming infused edibles instead. Infused candies will be popular on 4/20. They’re convenient, discreet to use, and most people seems to love them. Whether it’s chocolates, gummies, hard candies, or toffees, candies are a big hit on this special day. Just be sure to keep them away from children, for obvious reasons. Because infused candies and infused dessert items are so popular with cannabis newbies and occasional users, not only have plenty in stock but display them prominently. Also, as a community relations and safety measure, you would be wise to create a warning about edibles consumption. Unfortunately, some people overindulge in them, often failing to wait the proper amount of time before eating more, thinking their first dose wasn’t adequate. It’s a simple matter of too much too fast, and when the effects finally do hit, they can hit hard, and in a very unpleasant way. Cannabis edibles are processed by the human body in a very different manner than with smokable or vapable flower and concentrates. When smoking, the effects hit almost instantaneously, but when eating infused edibles, the effects are much slower to hit, and eventually the THC is processed in the liver. 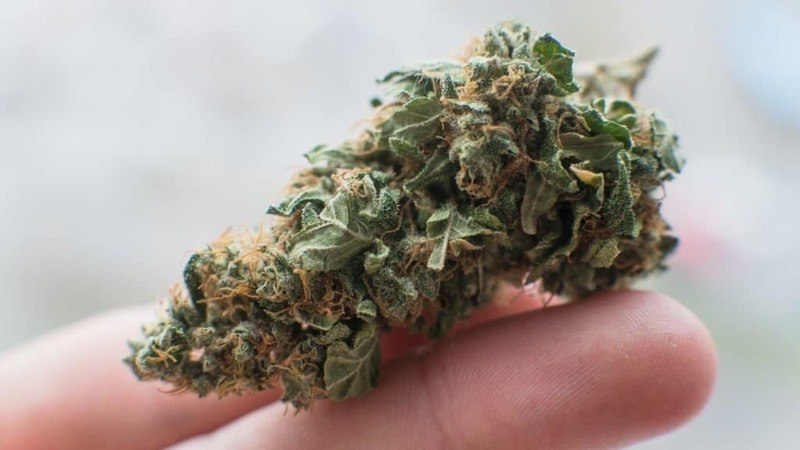 The onset of effects can be very slow, and most cannabis professionals recommend waiting a full three hours before consuming more if in doubt of whether it’s working at full strength. Everyone reacts to cannabis differently, and this is especially true with edibles. Unfortunately, each year in legal cannabis states, especially recreational marijuana states, hospital emergency rooms experience a significant number of people who come in having a “bad trip” on cannabis edibles. They effects were way too powerful for what they planned on, and usually these people consumed well over the recommended amount. This is why cannabis edibles that are sold for recreational purposes contain half the dose—or less—than the same edible sold for medical purposes. Since it’s physiologically impossible to overdose from cannabis like a person can from opioids, there are limited things emergency room personnel can do. Usually, the “patient” who overindulged more or less has to wait for the effects to pass, although there are ways to hasten the process. For this reason, and the fact that many people consume edibles on 4/20, by all means promote them but also provide a written warning about edibles consumption you can place in all exit bags when people pay for their products and leave—most likely to consume their edibles rather soon. To play it safe and eliminate any liabilities for your business, recommend that people begin slowly at a 5 mg dose. Then they should wait a full three hours before consuming more—if they decide to consume more. While seasoned cannabis users may chuckle at this small dosage, it’s the most prudent and responsible thing to do when selling infused edibles to the general public. The 4/20 cannabis holiday is your perfect opportunity to bundle deals as well as promote sales, and offers to draw customers to your business. People have choices when it comes to buying cannabis these days. If you don’t have the flower strains or prices they desire, they will quickly move on to another business to spend their hard-earned money. Make your bundled offers work to your advantage. Store inventory at most retail businesses have items that are in short supply and others that are overstocked. This is part of the purpose of point-of-sale software and knowing what inventory to order, or to produce in-house if your business is vertically integrated. By bundling deals, you will sell items that you wanted to move anyway, not that the items are inferior in any way, you just have too much of them! If you’re a competitive and shrewd businessperson, there is little doubt that you don’t already advertise your business. If you live in a major cannabis city, you would be overlooked otherwise. Most cannabis-friendly cities have a publication or two—often free—that features entertainment, dining, and other cultural content. These publications (Westword in Denver is a perfect example) usually contain an abundant amount of cannabis advertising, and some of them even produce separate “420 editions” because the demand to run cannabis advertising is too large to accommodate in the regular edition. This is your opportunity to come up with a brand-new ad featuring your special 4/20 offers. The ad will more than pay for itself. Without proper advertising, fewer people will be aware of your offers, and word of mouth with special cannabis offers only goes so far. If there was ever a reason to bump up the size of your ad, this is it. Feature your special offers in a larger font and create compelling verbiage to promote this big sales day. If you advertise on the radio, create a special ad for the days leading up to 4/20. The lines will form at your business if your offers are sweet enough. Make this April 20 your most profitable ever. With a little bit of effort and following the advice shared here, your bottom line will most likely exceed your expectations!